The NBC Bay Area Investigative Unit found, on average, there is a crash every other day in California, caused by an emergency driver who is distracted. They are supposed to protect us and help us, but in the line of duty, drivers of emergency vehicles are often driven to distraction by the devices in their cars. 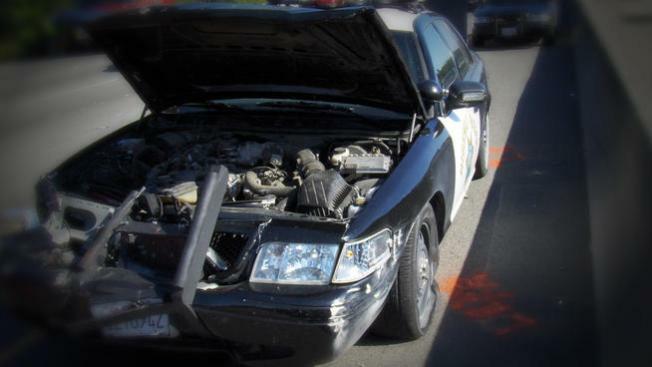 We reviewed more than 2.4 million collision reports recorded by the CHP from 2006-2011. We found at least 1,053 crashes caused by emergency vehicle drivers during that period. That’s 14.6 crashes each month in California caused by a distracted driver behind the wheel of an ambulance, fire truck or law enforcement vehicle. The majority of those crashes involve law enforcement — local police officers or CHP drivers. While that may seem like a small percentage, the assumption many hold is that emergency vehicle drivers have been through rigorous training and are better equipped than the average driver to avoid causing collisions. And of course, these emergency vehicle drivers make up a small percentage of the driving population at any given time. How this study may hold the key to quantifying the effects of in car distractions on police officers. The reports show officers admitting they were on their cellphones, “looking at their monitors,” and “distracted” by the computers in their cars in the moments before they crashed. In 2010, a CHP officer crashed into the back of a taxi on Highway 101 near Rengstorff Avenue in Mountain View. The report shows the officer was driving at “approximately 60 mph.” The officer said he “took his eyes off the road to look down at his mobile digital computer (MDC).” The report also shows the officer “sustained abrasions to the left arm,” complained of back pain and had to be taken to the hospital. The driver of the taxi didn’t want to be identified but told NBC Bay Area his taxi was totaled and that he suffered neck and back pain from the collision. Watch our report above for other examples and what we found in the crash reports. Distracted driving is a problem, both for officer and civilian safety, according to Dr. Bryan Vila, a professor of Criminal Justice and Criminology at Washington State University. Vila is leading the nation’s first study attempting to quantify how distracted driving affects officers, and California’s Commission on Peace Officer Standards and Training (CalPOST) has invested $200,000 to help fund the study. “What we have to do is face up to the limits of human performance in order to keep our community safe, in order to keep these experienced public servants safe,” Vila said. “No matter how good you are, distracted driving is a killer and if you can find ways to reduce the distraction you will have fewer deaths and fewer collisions,” State Sen. Joe Simitian said. Simitian authored California’s law banning the use of a handheld cellphone while driving. Simitian says the law took effect July 1, 2008. His office estimates the law has contributed to a major reduction in collisions and fatal crashes. “The first year the handsfree law was in effect, we had 20 percent decrease in fatalities which is 700 fewer fatalities every year. We had a 20 percent decrease in crashes which is 75,000 to 100,000 fewer crashes,” Simitian said. But he says emergency personnel and law enforcement lobbied for an exemption to the law when they were on duty. The Investigative Unit asked if it's a loophole that should be closed. “I think the law probably makes sense as written but what we’ve seen is a lot of local jurisdictions have stepped in to apply their own judgment,” Simitian said. The Investigative Unit reached out to dozens of law enforcement agencies across all nine Bay Area counties. We found more than 90 percent have a policy to restrict cellphone use while driving—saying it “can cause unnecessary distractions and presents a negative image to the public.” Most also limit the use of the computer to when the car “is stopped” or in emergencies. But in Oakland, one of the largest police agencies in the Bay Area, there’s no policy to address the use of computers, just cellphones. CHP records show seven crashes caused by OPD cops driving distracted. Department leaders say they don’t think that computers have been a contributing factor in crashes caused by Oakland officers. They say that’s why they haven’t implemented a computer use policy. “I don’t think it’s been a situation where we need a policy to tell us when we should use our computer and not use our computers. I think that has more of a common sense element to it,” Officer John Mendez said. Mendez is OPD’s lead driving instructor. But Mendez agreed it’s impossible to know whether computers or other electronic devices have been a contributing factor in the crashes caused by OPD officers, because the department doesn’t keep track of that information. Meanwhile, police agencies across the country are reviewing their distracted driving policies. “We’re using measures that no one has ever had available before” Vila said. In the WSU study, researchers use a simulator designed to mimic the inside of a real police cruiser. 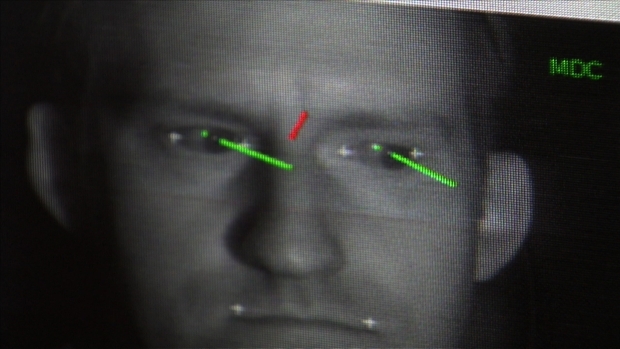 They use sensors to track the officers’ eye movement and heart rate. The officer must stay within 100 feet of the car at 55 miles an hour while checking a monitor and touching the screen when they see key words. Vila, who was an officer with LASD from 1969-1978, says today’s officers are contending with a Catch 22, ordered not to drive distracted but equipped with radios, cellphones, GPS devices, radar and laptops. Vila says a totaled police cruiser costs about $100,000 to replace, not counting medical and insurance costs to taxpayers. The study results are due in the spring, and will be shared with police agencies nationwide. Vila says they could lead to changes in policy, training and even the design of police cruisers to help officers deal with the dangers of distracted driving.